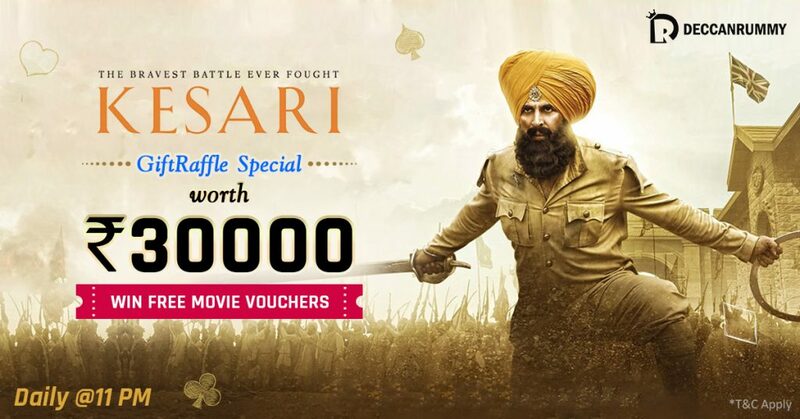 Home » Win Free Tickets to watch Kesari! Bollywood Box Office King Akshay Kumar is back to rewrite the record books with Kesari. The film which released last Friday is now the first official blockbuster of 2019 in Bollywood overtaking the collections of Gully Boy. With the weekend approaching, the film is all set to mint some more bucks and join the 100 crore club. The success of this movie illustrates no matter what the situation is (whether it’s IPL fever or election frenzy), films with good content always gains people’s admiration. Period films generally have huge takers in Bollywood. Kesari is based on the Battle of Saragarhi between Sikh regiment of the British army and Pashtun tribes from Afghanistan, a history that is largely forgotten. The battle is known for the bravery and valiance exhibited by Sikh soldiers who were just 21 in number to the Pashtuns who were thousands in numbers. In the film, Akshay plays the role of Havildar Ishar Singh, who led the 36th Sikh regiment. Parineeti Chopra plays Akshay’s wife in the film. Critics have also heaped praise on the movie especially the leads and actors who played soldiers. The film is high on nationalism and is a tribute to the 21 soldiers who fought valiantly against the invading marauders. It is always exciting to watch a patriotic movie, is it not? Do you Want to watch this exciting war drama? Simple! Play our GiftRaffle Kesari Special every day at 11 PM for free and have a chance to win free movie vouchers to win this movie. Yes! You don’t have to spend a dime in order to participate. You can have a chance to win Rs. 4100 movie vouchers every day. The tournament is open from Mar 27 – Apr 3 and the registration for the tournament every day at 6 PM. The tournament is open to 906 players. Commenting on the tournament, Kenny Goutham, Head of Operations, DeccanRummy.com said “Indians love for period films is known fact. From Lagaan to Bhagat Singh to Mangal Pandey’s Biopic to the latest Kesari that talk about Indian’s unmatchable valor are extremely popular among the Indian movie enthusiasts. 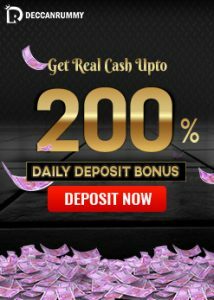 We at DeccanRummy.com do not just restrict ourselves to this domain alone. 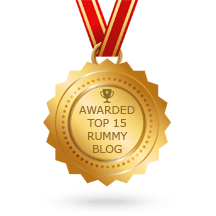 We love to provide players the things they love apart from rummy. That’s the reason we launch these Movie special rummy tournaments and leaderboard contests with exciting giveaways like Holiday trip’. All the users need is an account to participate in the tournament. 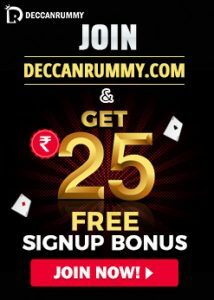 Players can enjoy this tournament online in the web or with the rummy mobile app or even by downloading our Deccan Rummy client software for your PC. The tournament is guaranteed to be action-packed and intriguing just like the movie. Expect players at all levels – pros, amateurs, and newbies- all taking a shot at the movie vouchers worth Rs. 30000. Mark the dates given and do not forget to be there – we are waiting for you!